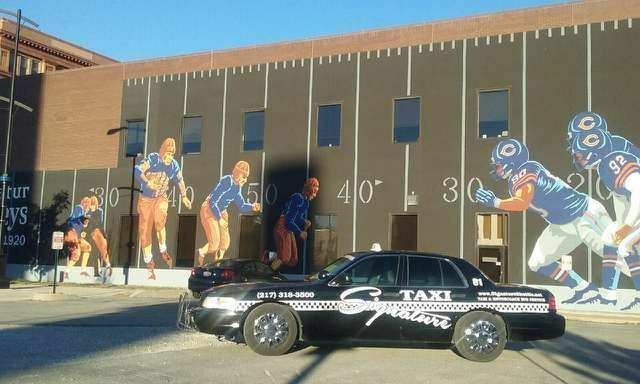 Taxi and taxicab service in Decatur, Illinois. 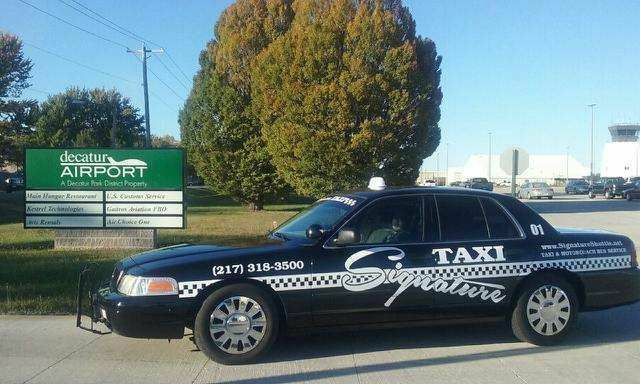 Signature Taxi Decatur is the #1 Taxicab Service in Decatur, Illinois. We provide high standard passenger transportation with quality vehicles and professional drivers. All of our vehicles are carefully built in our own facility to produce reliable transportation that meets the demands of all of our customer's needs. 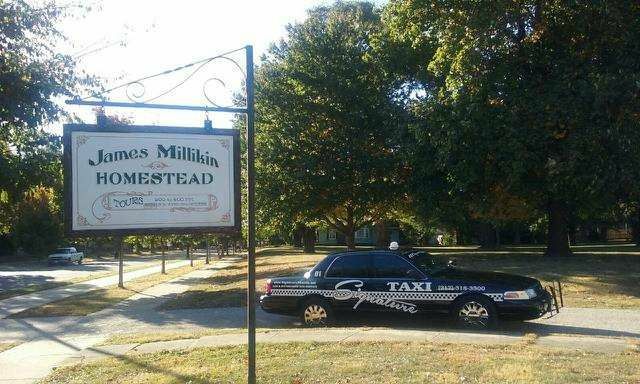 From the ADM Executive needing to go to the Decatur Airport to the young lady who had a few too many drinks we are the company to call when you are in need of a taxicab in Decatur, Illinois. 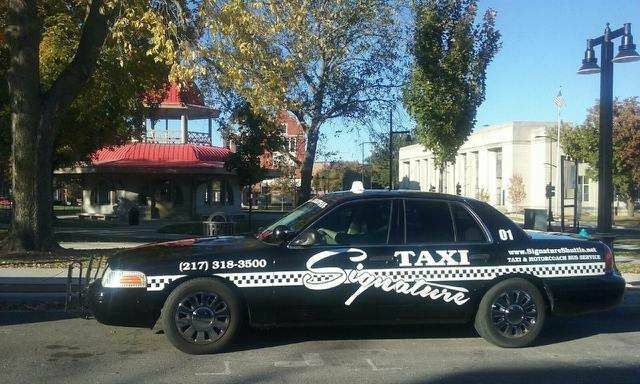 Signature Taxi Decatur is a home grown company, all drivers and even upper management is born and raised in the Decatur, Illinois area. 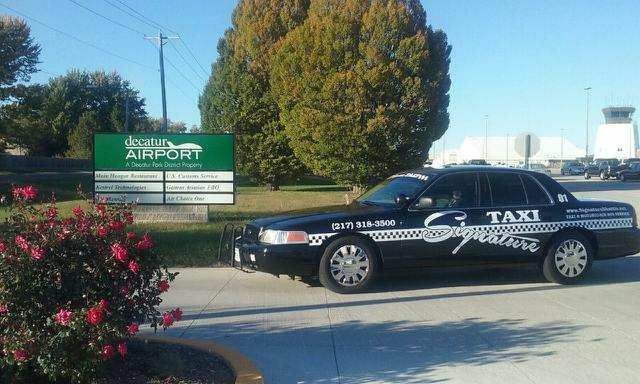 Signature Taxi Decatur is not some fly by night taxicab company that moved into the area due to previous failures. Signature Taxi Decatur does not employ creepy, fresh out of jail, drivers that leave harassing voice mails on young lady's cell phones on late Saturday nights. These are true stories that we have heard about other taxi cab companies in Decatur, Illinois but we don't need to mention any names. Please call us whenever you need a taxicab in Decatur, Illinois. Signature Taxi Decatur has been rated with 5 out of 5 stars based on 2 customer reviews. Fixr has reviewed the content provided by Signature Taxi Decatur to match our community guidelines. 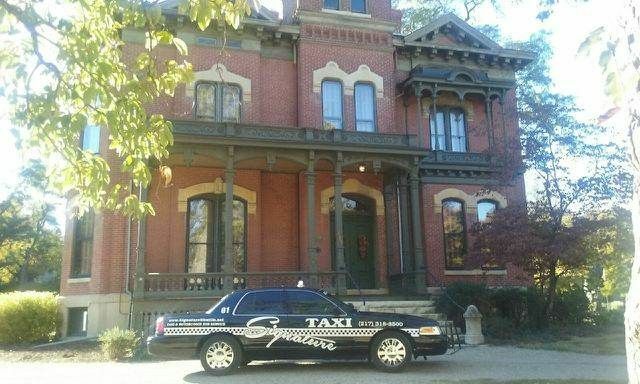 Signature Taxi Decatur has been rated with 80 experience points based on Fixr's rating system. Fixr has validated the email provided by Signature Taxi Decatur. I've been riding with Signature Taxi for approximately 5 months and I have to say I'm extremely impressed. My job being a very stressful part of my life requires lots of planning and extreme time management. Signature Taxi helps relieve some of that stress with punctual arrivals and drop-off times, clean vehicles, and a relaxing environment which makes it very easy for me to continue work from my phone and computer. I have to say, I been in cabs all around the world and the city of Decatur holds one of the most professional companies I've ever road with. 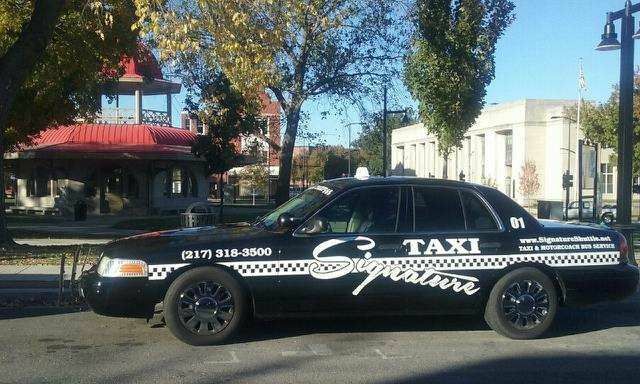 Signature Taxi is the best taxicab company in Decatur, Illinois. I will be sure to call them again when I need a ride. Paul, thanks for the great service you guys really are Decatur's #1 Taxicab Company. Trust me, I tried those other guys,,, and yea I won't be calling their inferior company ever again. Thanks for treating me with respect both on the phone and in the vehicle. Guys like you should run for local office and change the way other businesses operate here in Decatur.